Tata AutoComp, with its 44 plants and 13 business units, straddles the entire automotive value chain. In his first media interaction since joining the company, Managing Director Arvind Goel speaks to Amit Panday on developing frugal, robust and reliable solutions for Indian and global OEMs, its readiness to tap megatrends and openness to new alliances, developing an ADAS for India, enhancing worker skills and lots more. Tata AutoComp has been successful in reducing its dependency on Tata Motors for YoY growth. What's the plan to further this in the mid-term? We will, at all times, strive to maintain a healthy balance amongst our customers. Tata Motors itself is a rapidly growing OEM with significant gains recently in all the segments it is into, both in the Indian and overseas markets and is likely to continue with this momentum. Hence, it is important that we do our best to gain business from Tata Motors and grow with it. Even as we grow with Tata Motors, we are increasing our engagement with other OEMs in India and also going to markets outside India to strike that balance of “dependency” as you put it. Each of our Business Units is encouraged to de-risk from “dependency” on any one single customer and not just Tata Motors. We are working very closely with all OEMs to ensure a healthy mix of customer base. Electrification, connectivity, autonomous and safety are defining the future roadmap for all OEMs globally. How do you see these megatrends being potential pillars of growth for Tata AutoComp in the future? Whilst most of the megatrends are at various stages of maturity in different markets around the world, in India they are somewhat at a nascent stage. Most of them are not introduced on a mass scale as associated costs are not affordable when they are just brought into India. This is a great opportunity for Tata AutoComp Systems and each of our Business Units, which can leverage their ability to develop and engineer products in India. We have well-laid-out plans for offering frugal, robust and reliable solutions well adapted for the Indian market. These frugal and robust solutions will find markets in Indian OEMs and also abroad. To be specific, we have a roadmap in each of the areas: EVs, connectivity, autonomous vehicles and safety. Our current business units have already developed solutions or are in the advanced stages of development. To name a few, Tata Ficosa is into battery packs, BMS, on-board chargers, DC/DC convertors for two- and three-wheelers; Tata Toyo Radiator has developed capabilities for thermal management (solutions) for electric vehicles, and Tata Green Batteries is developing solutions for batteries. Tata Ficosa has solutions ready for ADAS and telematics. Meanwhile, lightweighting is a major focus for our Interiors and Plastics Division, Composites Division and Tata AutoComp Hendrickson Suspensions. We are also planning to enter many other technology areas and are exploring various possibilities at this stage. We will be able to make a public announcement (on these areas) at an appropriate time. Which, among all the megatrends, is the biggest bet for Tata AutoComp, going forward, and why? The biggest bet within the automotive industry today is electric vehicles and we too are watching this space closely. While it is too early to predict what percentage of the overall market EVs would be (in the near future), it is certainly clear that each segment — passenger vehicles, LCVs and commercial vehicles — would adapt electrification, and the growth rates (of EV penetration) would be significant. In fact, EVs have the potential for exponential growth once the cost benefit threshold is crossed. At Tata AutoComp Systems, we have made significant advancements in EVs across segments — two-wheelers, three-wheelers, passenger vehicles, commercial vehicles, buses and even in off-road / construction vehicles. Tata AutoComp is well prepared to make the most of this opportunity. We are also developing some more technology solutions across the entire EV powertrain, which can be applied in India and abroad. In FY2018, Tata AutoComp recorded a consolidated turnover of over Rs 4,800 crore from 44 plants (including 9 units overseas) and 13 business units including seven alliances. Can you throw some light on the company's mid-term growth roadmap? Tata AutoComp systems has been growing at a CAGR of 37 percent in the past few years and we intend to maintain that growth rate in the future and even do better. Each existing Business Unit has a well-laid-out roadmap to organically and inorganically increase their revenue(s). Tata AutoComp will add several new business units over the next three years. In order to prioritise and enhance customer-centricity, we have reorganised our Business and Technology Development into six major verticals: PVs, CVs, off-road, industrial, aftermarket and exports. Each Business Unit — existing and new — has clear targets in each of these verticals. What is the strategy when it comes to growing the overseas business and the order book? Who are your customers in the global markets? We have two Business Units operating outside India — Nanjing Tata AutoComp Systems, which makes Kinematic plastic components and aggregates through its two plants in China and TitanX, a company we acquired, which is a leading player in powertrain cooling solutions for medium and heavy-duty trucks. TitanX is based out of Sweden and has plants in the US, Mexico, Brazil, Sweden, Poland and China. Each of these Business Units has created their own growth strategy. Is Tata AutoComp open to more alliances in the future? Yes. Tata AutoComp Systems is always open to alliances, provided it is a right fit into our strategy over the next five years. Tata Ficosa Automotive has developed an ADAS system tailored for Indian conditions. How does it plan to develop and localise it further? By when will these locally developed ADAS systems be seen in passenger vehicles on road? 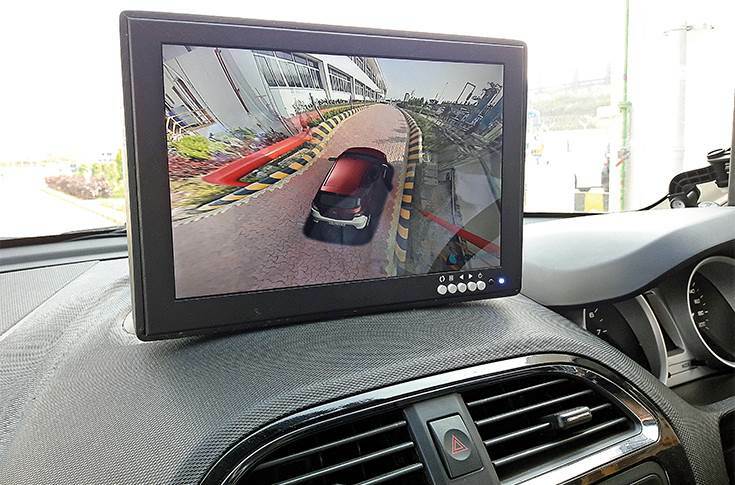 The ADAS solution offered by Tata Ficosa is unique today as it allows the user to get a 360-degree view of the surroundings. While the basic technology is from Ficosa, we have augmented the interface which helps stitch the images from each camera to create the 360-degree effect in real time. Hence, though you are sitting in the vehicle, you can get a top-angle view of the vehicle as if you are outside the vehicle and see all the surroundings to get a perfect driving judgement. We are in advanced discussions with some of our customers and, hopefully, this solution will soon be seen on the roads. How do you define engineering innovation at Tata AutoComp? Do cite a few examples that underline the company's unique capabilities around innovation and engineering? Being an auto component manufacturing company, it is our responsibility to keep enhancing the value of our offerings to our customers. Hence, we constantly evaluate each of our offerings and look at ways of either enhancing the look and feel, which would enhance the aesthetics and haptics of the parts we supply, the functionality there by packing more features or usability and lightweighting, which will directly impact the fuel efficiency of the vehicle or ways of reducing cost. Let me give you a few examples to illustrate our capabilities. In seating systems — on one hand, we are working on various alloys to make the seat frame lighter and at the same time ensure modularity in the frame structures. The modularity design protects the seat while adding additional features. Hence, whether it is a simple two-way mechanical movement seat or an eight-way fully powered seat with lumbar support, the basic frame remains the same. This is one example of innovating functionality into our product(s). The next example is our suspension systems — we are constantly designing our solutions keeping Indian road conditions in mind. 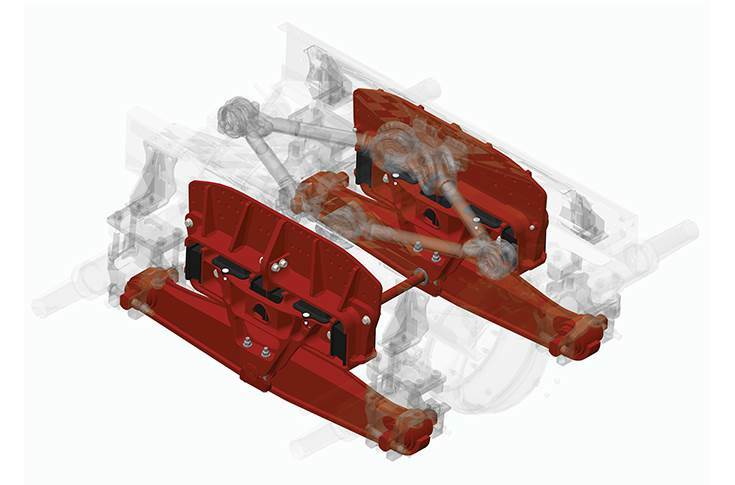 We have studied the actual usage of trucks in various mines and have re-engineered our suspension systems to ensure better ride and handling, better load-carrying capability while lightweighting the overall suspension system. Another example could be of the engine cooling systems. We are developing radiators based on SMART Core technology, which enhances the heat exchange ratio for a given size of radiator. Translated, this means that for the same heat exchange load, you would need a smaller radiator, which results in cost and weight savings for our customers. These are just a few examples of innovation engineering being done at Tata AutoComp. 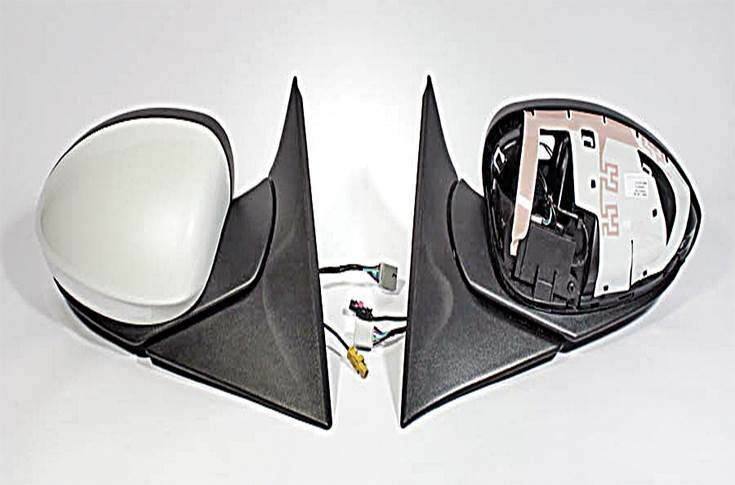 The Interiors and Plastics Division (IPD) is believed to be very well placed in terms of developing lightweight plastic components. What new materials and advanced composites are being explored to address OEMs' weight reduction demands? Also, can you throw some light on the direction of the new projects undertaken in IPD, specifically in the wake of the BS VI norms and vehicle electrification drives. Are plastic components replacing metal parts in vehicles, are new segments opening up such as in tractors? We have two divisions — Interiors & Plastics Division and Composites Division — both of which are developing lightweight components. The Composites Division has been developing parts that replace sheet metal and thereby achieve a significant weight saving. The front panel of the Tata Ace is a classic example of how this material has evolved. We initially replaced sheet metal with composites and achieved a weight savings of about 47 percent. Recently, we have partnered with Tata Chemicals and used certain nano particles in the composition of the raw material. The new panel made from this solution is 17 percent lighter than the previous offering without compromising on the safety norms it is supposed to meet. Similarly in plastics, we are developing certain parts by using natural fibre. These are functional parts like door inners which help in reducing weight compared to the traditional full plastic part. Besides being a solution to reduce weight, it is more eco-friendly as it uses natural fibres. We are also introducing LFT and other technologies, which can be used as functional load bearing parts and can replace sheet metal. Tata AutoComp Hendrickson Suspensions' Haulmaxx 26T heavy-duty rubber suspension. The other area that we are looking at is the Small Commercial Vehicle (SCV/LCV) segment. These vehicles are deployed for transporting milk, fish, vegetables and for other last-mile applications. We have developed a load carrier — Cargo Box in composites, which can replace sheet metal. Besides lightweighting, the basic advantage of this offering is its enhanced life. Since it is made from composites, it will not rust or corrode when in contact with water. Another segment where composites and plastics are replacing sheet metal is the tractor segment. We have the good fortune of serving most players in this segment. India Auto Inc is grappling with a severe skills shortage, more so when it comes to the development of EVs and battery related technical expertise. How do you view this challenge? I agree that there is a shortage of skilled manpower that the industry is facing. I would break this up in to two parts — shortage of skill sets when it comes to engineering and design and the shortage at the shopfloor level. In the first case, where we have alliances, we have a systematic plan of exchange and training of technical personnel. For EVs too, we have started with such a plan specific to the products under development. For people at the shopfloor, we have set up skill centres where we train our workers and enhance their skill sets. We have developed training programs with the help of our own employees to ensure that the basic skills requisite for manufacturing of the components we make are imparted to the workers before they hit the shopfloor. Where the skill is highly critical to the new products, the shopfloor persons too are trained in our partners’ facilities by involving them directly in production. In addition to that, we have programs offered by our customers like Tata Motors, Mahindra & Mahindra and Toyota where our people are trained by their faculty in relevant areas. Tata Motors' Harrier is one of its most anticipated products. What are the components and technologies developed and supplied by Tata AutoComp to this SUV? We are also waiting in anticipation for the launch of the Tata Harrier and are expecting it to do well in the market. We have been fortunate to be associated with this vehicle and most of our Business Units were engaged in (the development of) this vehicle. However, I cannot reveal anything beyond this till the vehicle is launched. 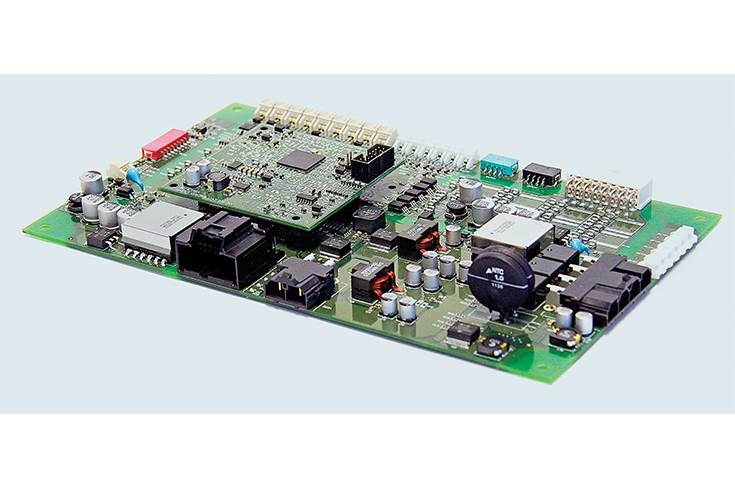 Once it is launched, I will gladly share with you the components and technologies that we have supplied. What is your assessment of the government's Make-in-India initiative? Has it taken off well over the past four years, giving adequate boost to India's manufacturing prowess? As far as the automotive industry is concerned, this industry has been attracting foreign investments and players in India ever since the industry opened up. Even today we see foreign brands’ interest in India — both for the demand it offers and as a manufacturing hub. Recently, we have seen MG Motor, Kia Motors, PSA Group and others stepping into the Indian market. The component industry too has been seeing investments in terms of increasing capacities and capabilities. The industry has been exporting to advanced markets like the US, Europe and Far East, which talks of the maturity of the industry. In my opinion, the government’s Auto Mission Plan is a robust plan backed by firm initiatives, which make the overall industry and India very attractive as a destination.